Dubai developers continue to offer waiver of Dubai Land Department (DLD) registration fees to flexible payment plans, with a private developer now offering luxury cars to apartment buyers. In a statement, Schon Properties said that one- and two-bedroom apartment buyers in the Dubai Lagoon project in Dubai Investment Park will be offered Audi 2017 models (A3 and A6). The price of these cars range from Dh120,000 to Dh180,000, the developer said, with the offer valid till August 31, 2016. Unit prices start at Dh666,000. 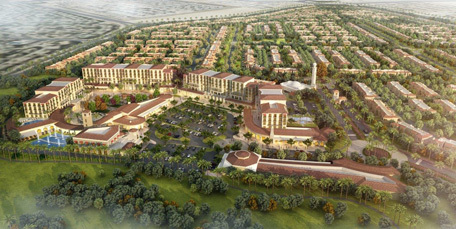 The project covers an area of 4,272,897 square feet and will house 2,260 residential units. “So far around 90 per cent of the residential apartments have been sold,” the statement claimed. However, it’s not new that developers in the emirate have offered freebies ranging from private islands to Aston Martins to Mercedes to entice apartment buyers. Dubai Properties (DP) extended its flexible payment plan for purchasers of property in its Serena and Arabella 2 developments in Dubailand. Units (townhouses and 2-5 bedroom villas) available on this payment plan range from Dh1.3 million to Dh2.2 million. As part of the terms of the offer, a 10 per cent down-payment is made, followed by bi-annual payments over a three-year period for 30 per cent of the purchase price. During handover, an additional 30 per cent payment is made, and balance of the purchase price is made during the two years after final handover. The extended offer also includes discounts of 50 per cent on DLD fees for Serena, Arabella 2 and Dubai Wharf developments, as well as 100 per cent discount on DLD fees for Manazel Al Khor in Culture Village.